The top prosecutor in a western Mexican state says his investigation has tied the local police chief, his deputy and another underling to the killing last week of a mayoral candidate. 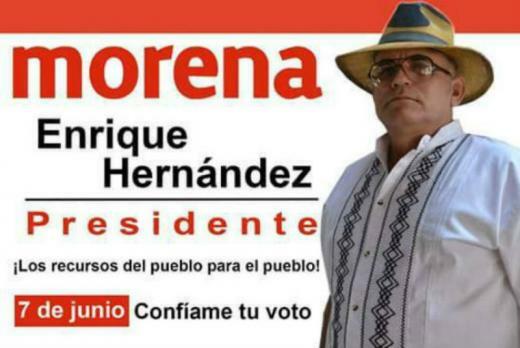 Michoacan state Attorney General Jose Martin Godoy Castro said in a statement Wednesday that the three knew about a plan to attack Enrique Hernandez, a mayoral candidate in Yurecuaro. Godoy Castro said he would file charges of participation through omission in a homicide. Godoy Castro alleges that the suspected masterminds behind the attack paid the local police for protection and on May 14 told them to leave town so they could kill Hernandez. He says their beef with Hernandez apparently stemmed from a disagreement over control of a sandbank. According to Integralia, a think tank based in Mexico City, during this electoral process there will be a total of 24.5 million advertising spots for political parties and candidates. In 2007, changes to the law were made in order to control the access of the parties and candidates to radio and TV. Those changes were a product of the controversial 2006 Presidential Election and are the current normative framework under which campaign advertising is being regulated for the 2015 midterm elections. Two basic ideas were behind the regulation for campaign advertising. First, it guarantees equity for the candidates and proportionality for the parties, according to previous voting levels. Second, it eradicates negative campaigns. To do that, a special committee was created with the objectives of 1.) allocating times for TV and radio promotion and 2.) knowing and approving all the advertisements. Following Integralia’s report, the private value of the broadcasts in Mexico City and Estado de México will only be around $1,043,000 USD. The PRI will be able to transmit 5.5 million spots, the PAN 4.7 million, and the PRD 3.6 million. This contrasts both with the newer parties such as MORENA, PH, and ES, which will have around 1 million spots each, and with the independent candidates, which will only have access to 342,504 advertising spots. And if you want to check out PT, PH, ES, and independent candidates advertising plus a complete list of all the local and federal advertising by party visit here. Around 23 million people live in the Metropolitan Area of Mexico, which encompasses municipalities from Estado de México and Hidalgo. Of these 23 million people, almost 9 million live in Mexico City. In this election, all of the municipalities (or delegaciones) and the local legislature will be renewed. 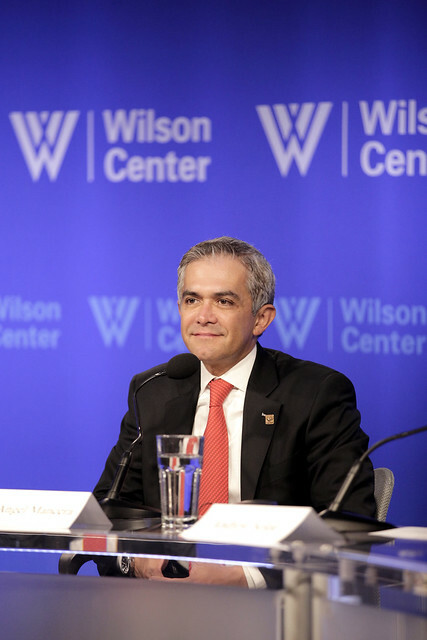 Miguel Mancera, the Mayor of Mexico City, was elected in 2012 and enters the midterm election with high levels of disapproval, according to the latest Reforma survey. However, numbers show that his popularity increased 8 points during the last 4 months. As shown in the chart below, Mancera’s highest approval rates, from both leaders and civil society, come from the way he handles cultural issues. On the other hand, his lowest approval rates surround the way he deals with issues related to informal street trading and corruption, from leaders and civil society respectively. Given this context, Reforma’s latest poll on electoral preferences in Mexico City registers a significant competition between MORENA and the PRD for the state legislature, whereas the PRD still has the lead in preferences for municipalities. For the state legislature, MORENA and the PRD have an effective vote preference of 24%, followed by the PRI with 15%, PAN with 11%, ES with 6%, PVEM with 5%, PH with 4%, PANAL with 3%, PT and MC with 2% and 4% for independent candidates. Furthermore, for Federal Deputies in Mexico City, the electoral preferences are still led by the PRD with 24%, followed by MORENA with 20% (you can see the original figures in the Reforma Surveys Blog). In conclusion, it is yet be seen if the competition will become tighter between PRD and MORENA, or if the former will have the political ability to remain the dominant political force in Mexico City.